Towards the end of 2018, it emerged that one of the country's most successful and highly rated brewpubs, FogHorn Brewhouse in Newcastle, was up for sale. It would have been easy to assume this was a sign of a squeeze in an industry that's been flooded with new breweries and brands in the past few years. Given one of the finest brewers of the past decade was involved in the business, it would have been a rather sad state of affairs too. Thankfully for anyone who's spent time at the brewpub or enjoyed any of Shawn Sherlock's beers, whether under the FogHorn name or during his years at Murray's, the reality was rather different. His business partner, James Garvey, was keen to move on to pursue other interests and Shawn was eager to take FogHorn on into the future. And, as of today, both men have got what they were after, with FogHorn becoming the second local operation to join forces with new investment group Founders First, which we wrote about last month after they revealed their involvement Mornington Peninsula startup Jetty Road. "I wasn't in a position to buy the entire thing on my own," Shawn told The Crafty Pint. "We had some good people that were interested in buying and, in a bizarre way, it was a positive process. It made me realise that FogHorn has made a little bit of a mark. People do view it in a positive light and do see what we have done is really successful. "Not that I'm downplaying it, but because we are so local I'm under no illusions that the rest of Australia is looking at what we've done. But there was a lot of interest from people, certainly around the Eastern seaboard, which was really quite interesting." 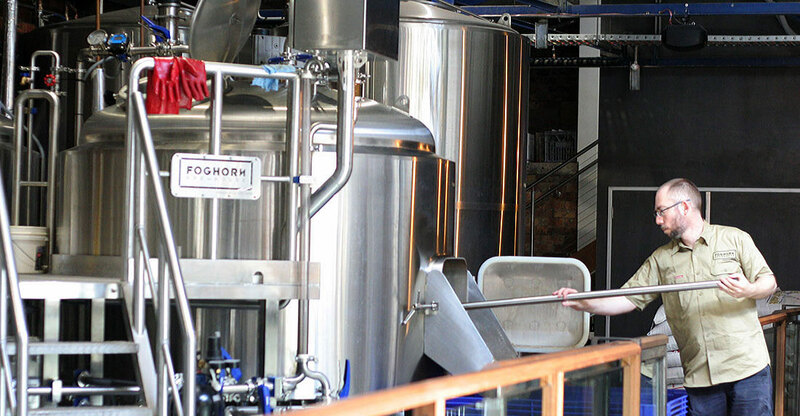 FogHorn Brewhouse co-founder and head brewer Shawn Sherlock at work at the Newcastle brewpub. The outcome has seen Shawn reinvest into the business while Founders First, which aims to boost existing craft breweries and distilleries in Australia with investment and other business support, has come in as his new partner. "They are backing our existing FogHorn team," Shawn says. "All the key team is staying and we'll keep doing what we're doing but with that little bit of investment to push a bit more into the wholesale area and take the brand little bit further." Initially, once the sale is completed in a few weeks, that will mean looking to sell more beer on tap outside the brewpub and throughout the Newcastle and Hunter region. They might consider small packaging runs via a mobile canning operator at some point too, but there's no intention to divert from the plan that's seen FogHorn voted one of the country's top five brewpubs since Beer & Brewer's regular awards started. "Large scale packaging isn’t part of the brewpub model," Shawn says. "That's not to say we won't look at it down the line [but it] isn't in our immediate vision. "As the beer market is maturing, the craft sector anyway, there's different ways to grow. Having bottles or cans in every bottleshop is one way, but potentially rolling out another venue or two is another way. "For all the reasons that Rich did what he did at BentSpoke and me and James did what we did here, brewpubs make sense in the craft market. What we have done here has been a really good example of what you can do and I'm really proud of that. James was certainly part of that – getting through the setup, the building site, dealing with council. He just got to a point where he wanted to do other things and I just wanted to come to the brewery and didn't want to go anywhere." 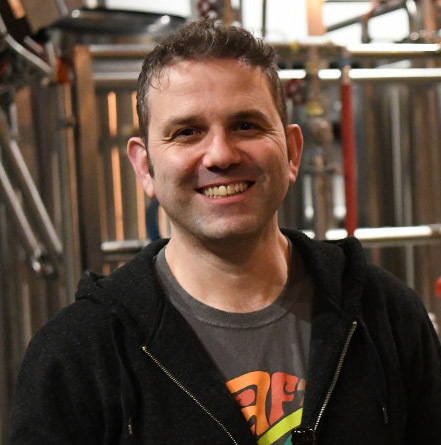 After making their second signing in the local beer world, Founders First chief executive Mark Haysman said the group was looking forward to supporting FogHorn's next stage of evolution. Prior to launching FogHorn, Shawn was head brewer at Murray's for several years, where he was responsible for creating a number of trailblazing beers, from high octane imperial IPAs and tiny session IPAs to barrel-aged imperial stouts and barleywines before such beers were in any way commonplace in Australia, plus all manner of fascinating Belgian-inspired beers (including the only collaboration The Crafty Pint has ever embarked upon) and much more besides. 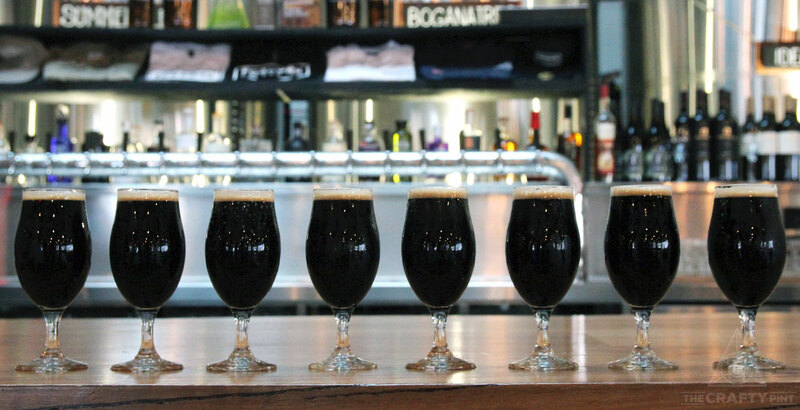 Since launching FogHorn, a 250 capacity venue in Newcastle's CBD, he's kept beer pouring from 18 taps, very few of which are regulars and some of which, notably the incredible Sligo Stout (pictured at the top of this article), have won major trophies too. 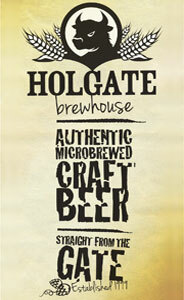 Now, with the future of the brewpub secured, we can look forward to more – and potentially more of – his creations. "I'm really happy with the outcome," he says. "[Founders First] seem really good guys with good people in their structure. "Maintaining independence was really important for me as well as maintaining control of the brand. 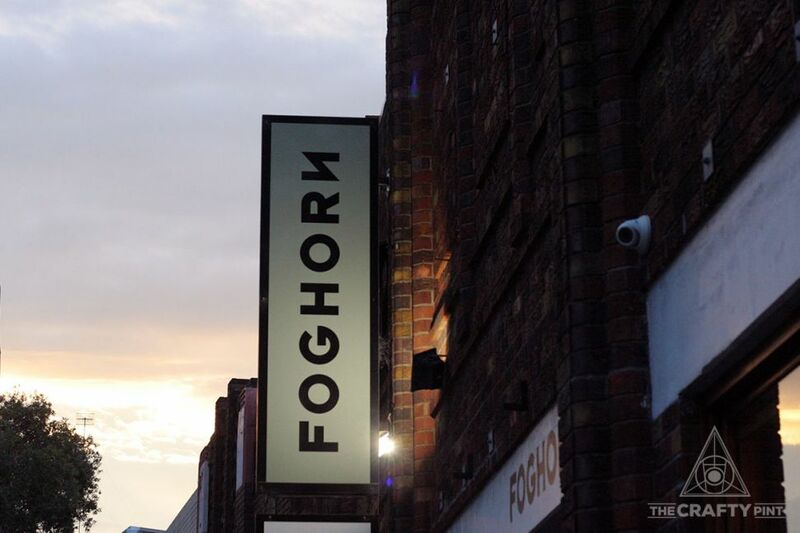 The FogHorn beers are very much me and my beer – and that's what we're investing in."